Some would argue that neither of the Migos solo albums have been absolute hits. Quavo’s feature-heavy project lacked in many areas while Takeoff proved that he can be a capable solo artist. For the critics, Offset is the final shot as the trio prepares to unleash the third (and final) solo album of the last few weeks. Expected to arrive on December 14, Offset’s project will likely be somewhere between Takeoff and Quavo’s. We’re anticipating a decent number of features but, at the same time, enough room for Set to show off his skills. According to his wife Cardi B, we’re in for an emotional showing. The title has not yet been revealed but we look set to be receiving the final Migos project of the year in December. 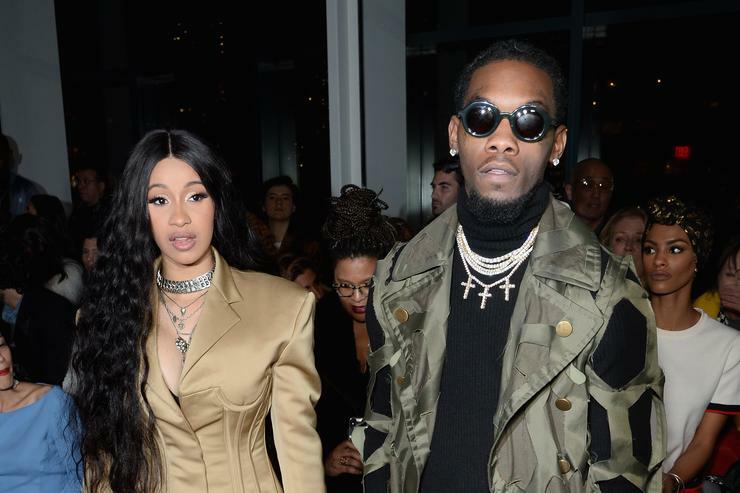 Offset is dropping his first solo effort and it’s a vibe according to his wife. “I’m loving hubby album,” said Bardi. “It’s a very deep album..Intro made me cry twice.” At this point in time, we have yet to hear any songs from the collection but if it’s anything like what Cardi is describing, we’re in for an interesting twist come December. Perhaps the intro is about baby Kulture? We’re pretty excited about the next instalment for the Migos. Soon after Offset drops, they will be prepping Culture III.